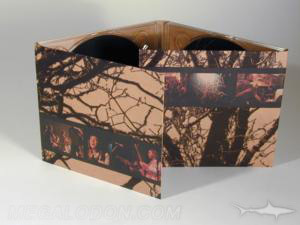 Visit Multi Disc Packaging on our Main Site! Multi disc DVD sets can be packaged in a large variety of ways, with minimal plastic - tall jacket, multi volume jacket sets, foam hub jackets, foam hub portfolios, cross shaped jackets, plus shaped folding jackets, etc. Let us know what you need us to make- number of discs, literature or retail items like USB devices, how you'll be selling or distributing your multi disc set, and we'll help you put together a quote. Below are some options for multi DVD Jackets to get your quote request started!